Historically, when probationers completed prescribed counseling or treatment they were assumed to be rehabilitated, cured or made well. Today these assumptions are being challenged because of relapse, recidivism and no problem abatement. Some probationers, for whatever reason, do not benefit from counseling or treatment. Pretest posttest baseline methodology is the foundation upon which the PRO is based. The same test is administered twice. 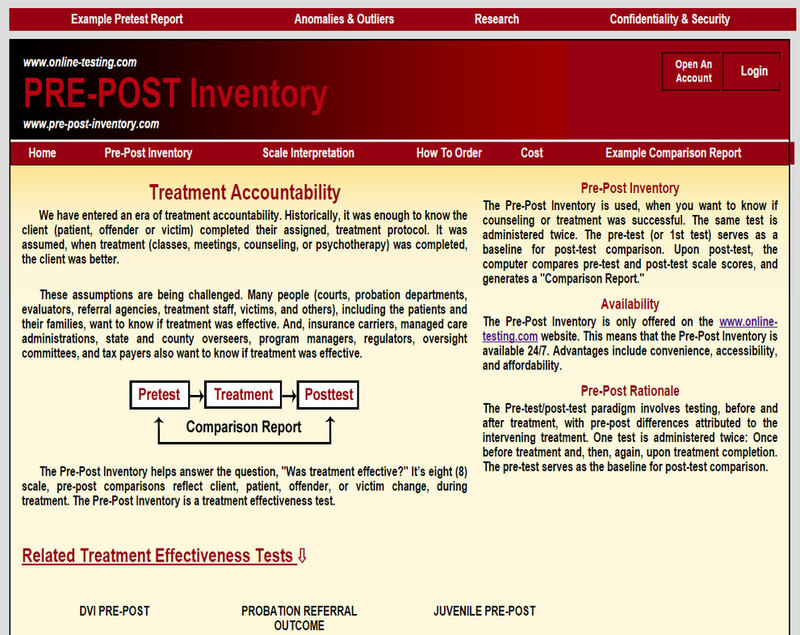 PRO is administered at treatment intake (pretest) and again at treatment completion (posttest). 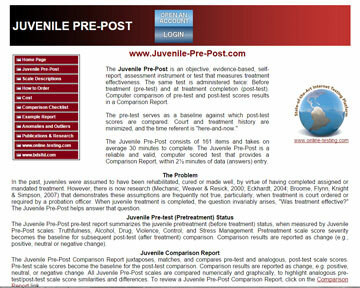 The pretest serves as a baseline against which the posttest is compared. Our Adult Probationer Screening Test is the SAQ Adult Probation III, whereas our probationer treatment outcome or treatment effectiveness test is the Probation Referral Outcome (PRO). 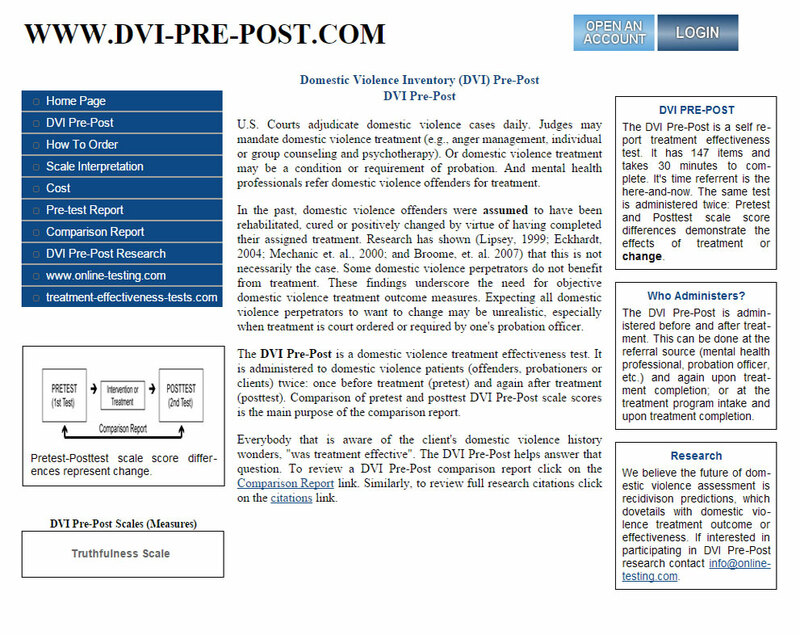 The Probation Referral Outcome (PRO) does not interpret, judge, or state, opinions about treatment program effectiveness. It simply reports positive and negative "change."